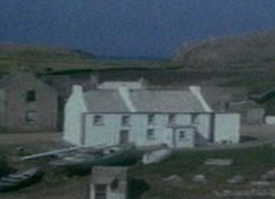 A Tory Island hotelier who built a car park on the remains of a 150-year-old holiday home which burnt down may have to pay damages to its former owner. A High Court judge who is presiding over a legal row over a holiday home which allegedly “disappeared” and became a car park for an adjoining hotel yesterday said the case may be dealt with on the basis of unjust enrichment by the hotel. This requires someone who has obtained a benefit at the expense of another, without a legal justification, to provide compensation or restitution for their loss. … Mr Justice Roderick Murphy said yesterday Mr Presho had not succeeded in proving the cause of the damage, but he (judge) was finding that, notwithstanding this, there may be a case against the hotel for unjust enrichment. Damages for trespass to land are usually measured by the market value of the unauthorized use, that is to say, the going rent (where the trespasser is an overholding tenant, such damages are called mesne profits). And there is a discussion in the cases as to whether such damages should be characterised as compensatory or restitutionary (on restitutionary damages, see in particular the work of Edelman and Giglio, and the Law Reform Commission’s Consultation Paper [esp Chapter 6] and Report on Damages [esp Chapter 8]). This measure is controversial, especially as a matter of Irish law, so we can at least hope that any decision by Murphy J in this case will bring some certainty to the area. It seems the judge is throwing Presho a lifeline as his own legal team had not used the unjust enrichment argument. I have to say though, i was mildly surprised that the judge did not believe that Presho had proven cause of damage. I would have thought there was at least some evidence of cause but obviously not enough. Anyway it looks like the hotelier may have to make some reparation after all. We’ll wait and see….. Thanks, David, for your query. But I’ve redacted its substance, as I’m not really in a position to comment. On the issue you raise, you really need a practitioner to advise you. This blog is not legal advice, just my opinions on issues of the day. Sorry I can’t be of any further help. Eoin. Strange story indeed. I would assume that Presho would be justified immediately. I guess this is a crystal clear example of how it pays to hire good lawyers. His legal team should have used the unjust enrichment argument right away and save their client more hasles. This is a terrible thing for the hotel to do. Obviously, you should think twice before buying any property on this island.